For some of us who grew up around the Patchogue River and the Great South Bay, Black Friday wasn’t the official start to the Christmas season, nor was Santa riding down Main Street in a fire truck. The day that ushers in the silly season for the bay men and women of Patchogue is the day (night) of the holiday boat parade. Xmas lights, ornaments and holiday decorations of all kinds adjourn the mariners’ boats as they gently float up and down the river. There are plenty of spots to camp out and watch the boats go by including free viewing at Sandspit Park (Davis Park Ferry Terminal) and the Fire Island National Seashore Watch Hill Ferry Terminal. Live music will be played at both locations. If you need to eat and drink while watching the colorfully lit boats drift by, there’s no shortage of bars along either side of the river to watch the scene. 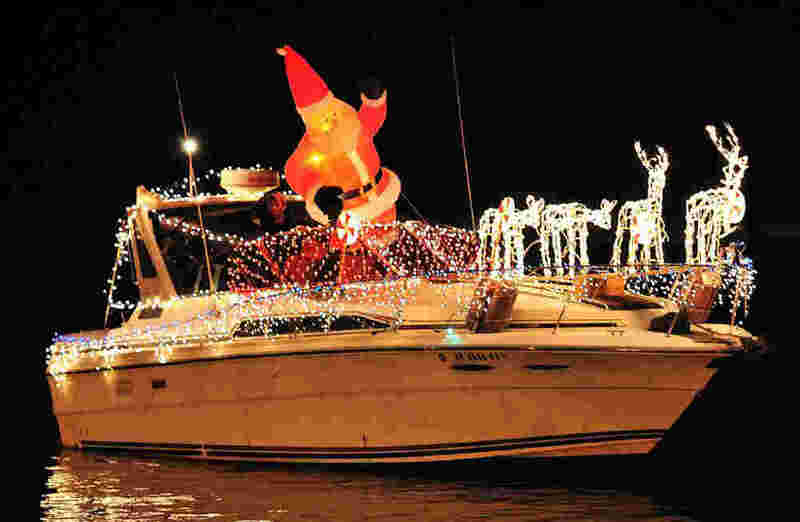 This year the 22nd Annual Christmas Holiday Boat Parade will take place on November 22-23 on the Patchogue River (preview Saturday at 5 p.m., parade on Sunday).